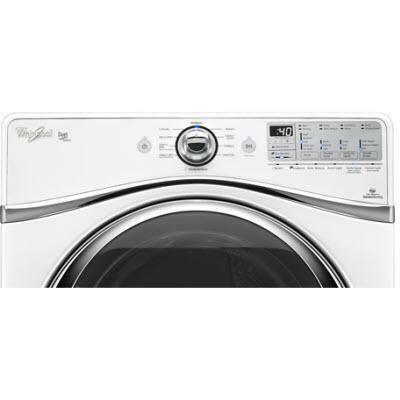 Whirlpool® 7.4 cu. 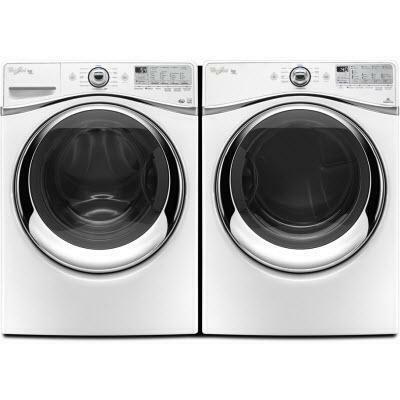 ft. Duet® gas dryer with advanced moisture sensing. Featuring 10 automatic cycles with 5 temperature settings, Wrinkle Shield™ Plus option (up to 140 Minutes), adjustable End-of-Cycle signal and Quiet Dry Plus Noise Reduction System. 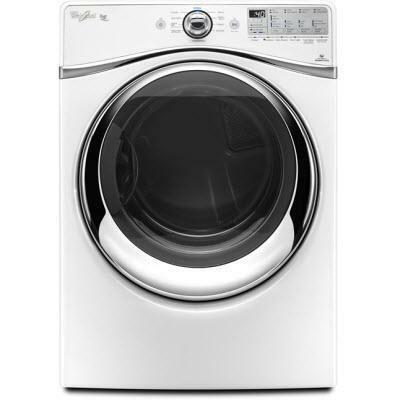 Dry Cycles Normal; Casual; Delicates; Quick Dry; Timed Dry; Steam Refresh; Sanitize; Towels; Heavy Duty; Bulky. Dryness Levels More; Normal; Less. Temperature Settings High; Medium; Low; Extra Low; Air Only. Additional Information Quick Refresh Steam Cycle; Wrinkle Shield™ Plus Option (up to 140 Minutes); Quiet Dry Plus Noise Reduction System; Static Reduce Option; LED Display; Timed Drying; Adjustable End-of-Cycle Signal; Estimated Time Remaining Display; EcoBoost™ option; Advanced Moisture Sensing System.